We love spending time at the Mosaic District. The developers have done a super job of creating an upscale urban/suburban hotspot. 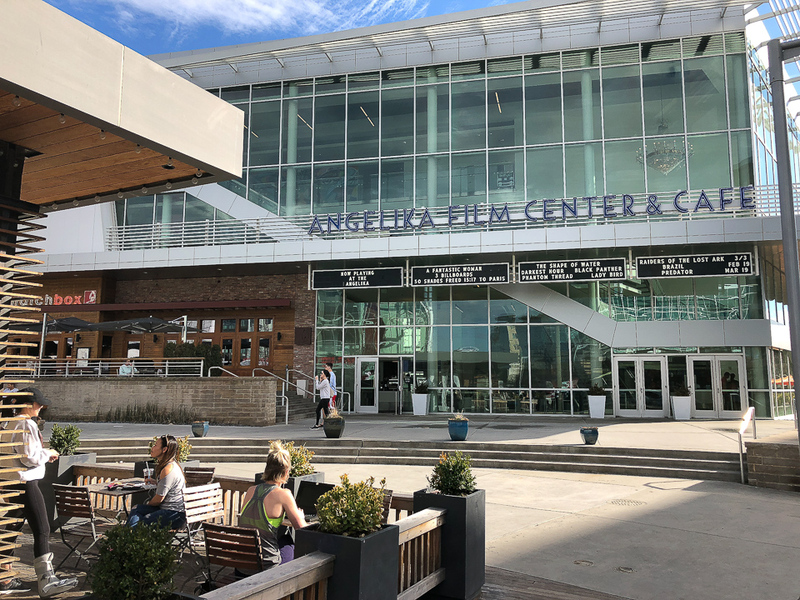 With the Angelika Film Center as its hub, and the addition of housing, shopping and restaurants this perfect meeting spot definitely has the “coolness” factor! A quick trip to the Mosaic website shows there is a lot going on in this bustling neighborhood. There are always pre-scheduled good times coming soon. We can never resist Williams Sonoma, and the outpost at the Mosaic is the largest one around with the dual concept of the latest kitchen flavors and equipment and also their Williams Sonoma Home Collection. It’s tough to go in and not leave with a bag of goodies. After seeing a movie recently, we took my mom and brother to Alta Strada for house-made pasta. Delish! We also love the pizza at Matchbox and plan to hit B-Side for late-night drafts and tunes. From the unique shops to the incredible variety of dining choices, the Mosaic is a great choice for browsing and lunch or dinner and a movie.